The focus and intent of Turning Pointe Dance Studio is to provide dancers in the metropolitan area the highest quality of dance training for those students who wish to pursue professional dance careers as well as those who simply want to enjoy dance on a recreational level and receive the benefits of exercising the mind and body. With this mission, Turning Pointe aims to provide each of its students with meaningful and enriching skills and an appreciation for the arts in a friendly and disciplined environment. Our philosophy at Turning Pointe Dance Studio is to provide guidance and attention to students of all ages and levels through stability, love, equality, devotion and understanding. TPDS is committed to a strong value system and family atmosphere that has been established in our founding studio for the past 38 years. Our students have fun, feel confident and continue to receive the most complete dance experience in the Eagan area. Our ultimate goal is building students to have strong dance technique, performance abilities, confidence and poise. Turning Pointe Dance Studio offers a variety of dance options for serious dance students, at the preschool, beginner, intermediate and advanced levels providing a complete dance program that is fun, challenging, and rewarding. Gayle and Robert are the proud owners of Turning Pointe Dance Studio and look forward to helping your children grow in the art of dance. Gayle and Robert have been actively involved in the studio for 12+ years and assumed ownership in 2007. They have 2 children go through TPDS and enjoy assisting students and parents growing in the love of dance. Please do not hesitate to contact us with any questions about the studio. Brittany has been dancing for 18 years training and studying all types of dance including jazz, tap, lyrical, contemporary, hip hop, west African, modern, ballet, and Pointe styles. Her first experience with modern dance was in middle school which propelled her to travel to Washington D.C. as a 6th grader where she was chosen to dance at the Kennedy Center of Performing Arts. Brittany attended high school at St. Paul Conservatory for Performing Artists where she got to work with many different local artists and performers. Her senior year, she had the privilege of going to New York to study at the Alvin Ailey Dance Center. Brittany has been a competitive dancer since the age of nine and loves competitions! Her favorite kind of dance to compete with is tap and jazz, but she is experienced in all types of dance. Brittany has competed at both national and regional competitions. Currently, Brittany is attending the University of Wisconsin-Stout where she is studying Retail Merchandising and Management. Brittany is excited to be choreographing and teaching at Turning Pointe Dance Studio and can’t wait for the year to begin! She grew up dancing at Dyan's World of Dance — which is the founding company of Turning Pointe Dance Studio. During her studio dance years Courtney won many regional and national awards. Courtney was a member of the State winning, Burnsville High School Blazettes Dance team, where she served as team captain her senior year. She directed and held team rehearsals as part of the responsibility of captain for the team, along with choreographing their dances. While in High School she was selected to be a part of the All State Dance Team for Jazz. Upon graduation from high school, she joined TPDS as an instructor. For the past 5 years Courtney has been a part of the Turning Pointe teaching staff. Courtney also is the fall head coach for the Lakeville South Dance Team. For the winter season, she is the Assistant Varsity coach for Henry Sibley Dance Team. 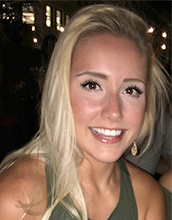 Courtney graduated from a local university with a degree in Psychology. She is so excited to be back with these kids and keep pushing them towards their goals. Since he fell in love with tap, he’s had the pleasure of taking class with tap greats Yukiko Misumi, Grant Swift, Jimmie Payne, Jr., Mark Yonally, Chloe Arnold, Jason Samuels Smith, Randy Skinner, Everett Smith, Derick Grant, Jay Fagan, Dianne Walker, Dormeisha Sumbry-Edwards, Star Dixon, Nico Rubio, Jason Janas, and others. Deane has won several choreography awards and can be found tapping at several different studios in the Twin Cities. Happy Tapping! 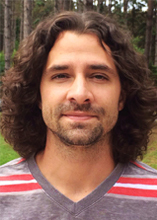 Ronnie will be back at TPDS teaching Saturdays! Ronnie grew up dancing at Dyans world if dance /turning pointe. Ronnie began dani g at the age of three and soon moved into the world of competition dance as a student. Ronnie has competed at both national and regional competitions, and now has choreographed and taught winning numbers for the dancers here at TPDS at the same competitions she attended as a dancer! Her love for jazz and lyrical will allow her to teach and choreograph for Tornado jazz this season. 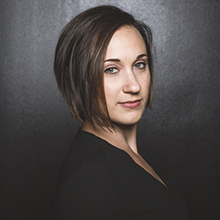 Danielle Ricci is an educator, choreographer, director, and dancer. She received her BFA in Dance Performance from University of California, Irvine in 2006 under direction of Donald McKayle. In 2014 she graduated with an MA in Arts and Cultural Management from St. Mary's University of Minnesota, and an MFA in Choreography from Jacksonville University in 2018. She has studied at The Ailey School in New York City as part of their Certificate in Dance Program studying with Milton Myers, Tracy Inman, Nancy Turano, and Sharon Wong. Danielle has danced professionally in California, Texas, and Minnesota performing with Loretta Livingston and Dancers, Austin Classical Ballet, Austin City Ballet, and Alternative Motion Project. She has also performed on stage with members of Joffrey Ballet, American Ballet Theatre, James Sewell Ballet, and Minnesota Dance Theatre. 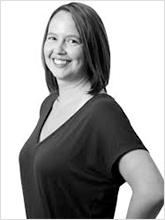 Danielle is the Founding Artistic Director of Borealis Dance- a professional modern dance company based in Minneapolis, and is currently head of the ballet and modern dance programs at Turning Pointe Dance Studio in Eagan, MN. 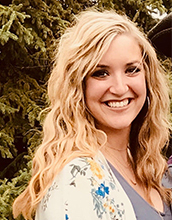 Danielle has presented work and taught at the American College Dance Festival Association upper Midwest conference in association with University of Wisconsin, River Falls where she has been a guest choreographer for the past three years. Her choreography has been recognized as "Best of the Festival" at the Frontera Fringe Festival in Austin, TX in 2010 and 2012. This is Danielle's fourth year teaching at Turning Pointe. Annika grew up studying dance in Minnesota and New York State. She continued her dance training at Buffalo State College, completing a B.A. in Arts and Letters, focusing her studies on Dance and English. In addition, she has completed a two-year early childhood education program, where she studied the physical, social, mental, and emotional development of young children. 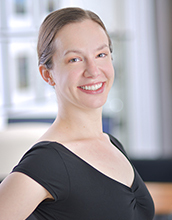 Annika worked locally for two years as a company dancer, ballet instructor, and student rehearsal assistant with the Continental Ballet Company in Bloomington, MN before deciding to devote her time to pursuing her teaching interests. Annika adores working with young ballet dancers. As a teacher, she works to provide a strong foundation in classical ballet technique, from which the dancers can continue to progress in their dancing and grow in their personal artistry. Her classes focus on developing coordination, balance, proper alignment, discipline, musicality, and age-appropriate ballet technique, in a supportive and confidence-building environment. Annika is passionate about teaching ballet and is excited to share this passion with Turning Pointe students and their families. Tara began dancing at the young age of 3 and hasn’t stopped since! She grew up dancing and competing with several Minnesota dance studios and has had intense training in Ballet, Pointe, Lyrical, Tap, Jazz and Hip Hop. For the past 20 years she has enjoyed teaching students of all ages from 18 months through adults, and has enjoyed watching her competition students and routines continually win top honors and awards at competitions. Tara continues to attend workshops and conventions throughout the country and has trained with some of the nations top instructors. Tara believes in strong technique, discipline and lots of love for each of her students. Dance continues to be her passion and she comes to work each day hoping to inspire each student she works with, and strives to help them reach their fullest potential not only in dance, but life as well.